if you are from India and want to invest in bitcoins then zebpay is the 1st option to invest as a promotion they are offering free bitcoins worth rupees 100 when you apply referral code and buy coins worth 1000 are above. if you have already completed the signup process then you can apply this code. 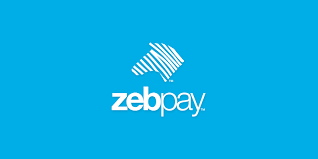 1.signup on zebpay is simple. you need a pan card, aadhar card, and a bank account.if you don’t have any of the above then it is not possible to create a zebpay account. 2.if you are the android user you can download it from play store are if you are ios user you can download it from an app store. 3. then you have to upload your details. generally, it takes around 2- 5 days to complete verification. note: if will approve your account only if it is 100% correct and photos must be clear. you have successfully created your zebpay account. now you can invest in bitcoins. if you got any problem feel free to comment. we will try our level best to solve your issue.